Today was such a great day that I need to split it into two parts to be able to load all the pictures I want to load. It was our coldest night yet last night. It got just below freezing and all our wet clothes that were laying out to dry were frozen this morning. 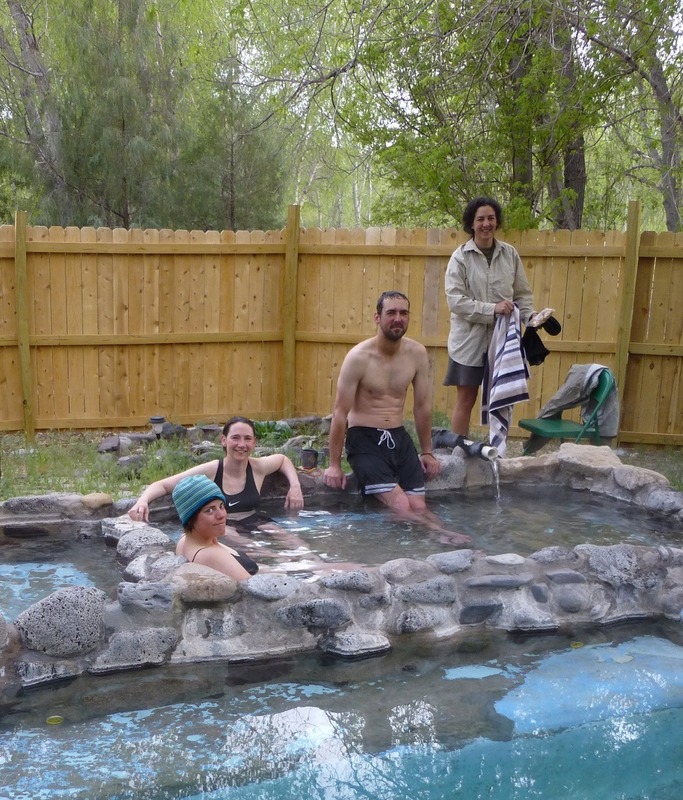 I slept in knowing the group would be leisurely about leaving and went to soak in the hot springs around 7:30am. It was the perfect thing to do on a cold morning and the hot springs was only about 40yds from my tent. Then we all made breakfast in the outdoor kitchen area and had eggs, bacon, toast, and toast with Nutella. It was a very cool morning with some cloud cover, but it made for perfect hiking weather. Especially because the first 4mi of the day was on a paved road. My group was taking their time to get ready since they felt that there was no rush. I wanted to hike as much as possible while the clouds were out and was getting antsy. Peru and Radar headed out and about 30mons after them, Sweetfish decided to head out. My groups still had a ways to go, so I decided I’d hike out with Sweetfish. This is a six day leg with 125mi, so I know I’m going to need to hike the way that works best for me. We will probably all get to the next town within the same day, but we each just have different ways of doing it. So I headed off with Sweetfish unsure of when I’d next see team Mirage. On our way out, we met Bigfoot and Soul to Soul who started the CDT from the Columbus route, which is the other route that is less remote and more accessible than Crazy Cook where Sam dropped us off. We also saw Mark and another hiker named Sunday as they arrived a Doc’s. 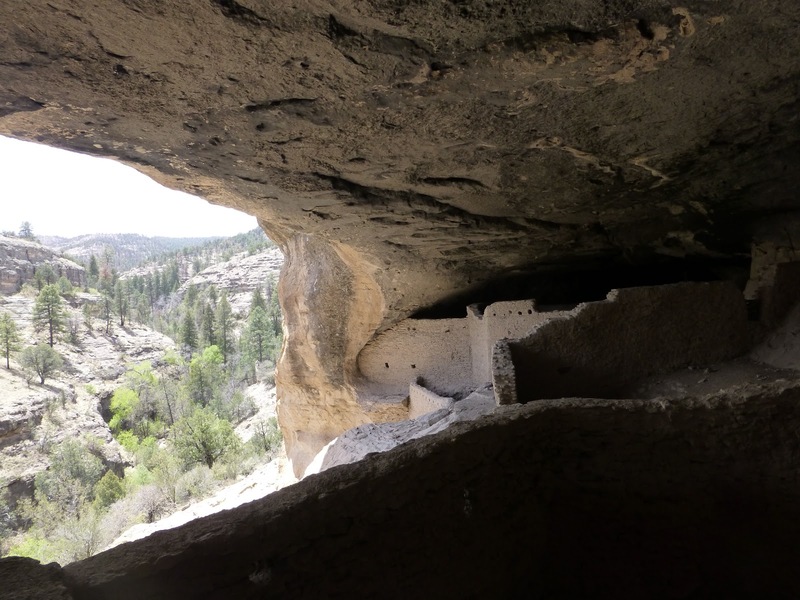 The four mile road walk lead me and Sweetfish to a popular side trip to a national monument called the Gila Cliff Dwellings. 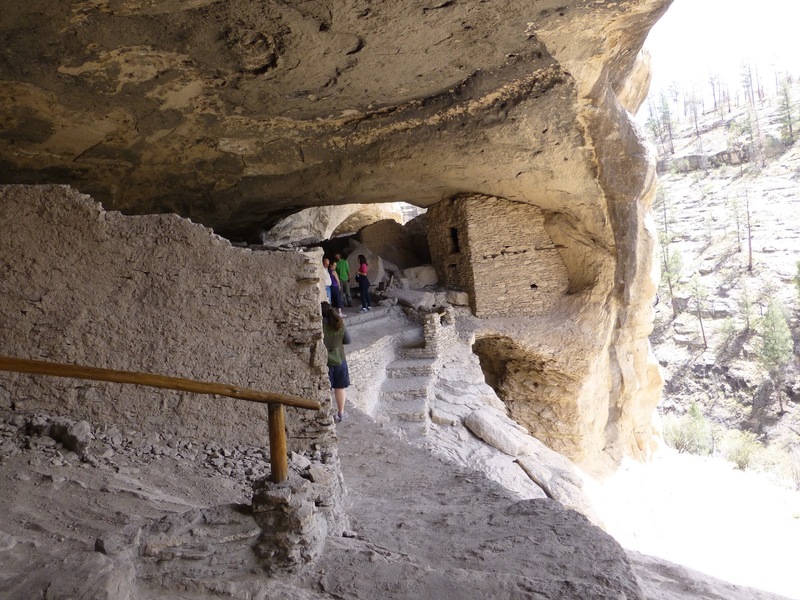 The actual dwellings are a four mile round trip side trip from the trail. When we reached the visitor’s center, we saw Peru and Radar. They had decided to take a slightly different route that walked by the Cliff Dwellings and was a bit shorter than the one Sweetfish and I planned to take. 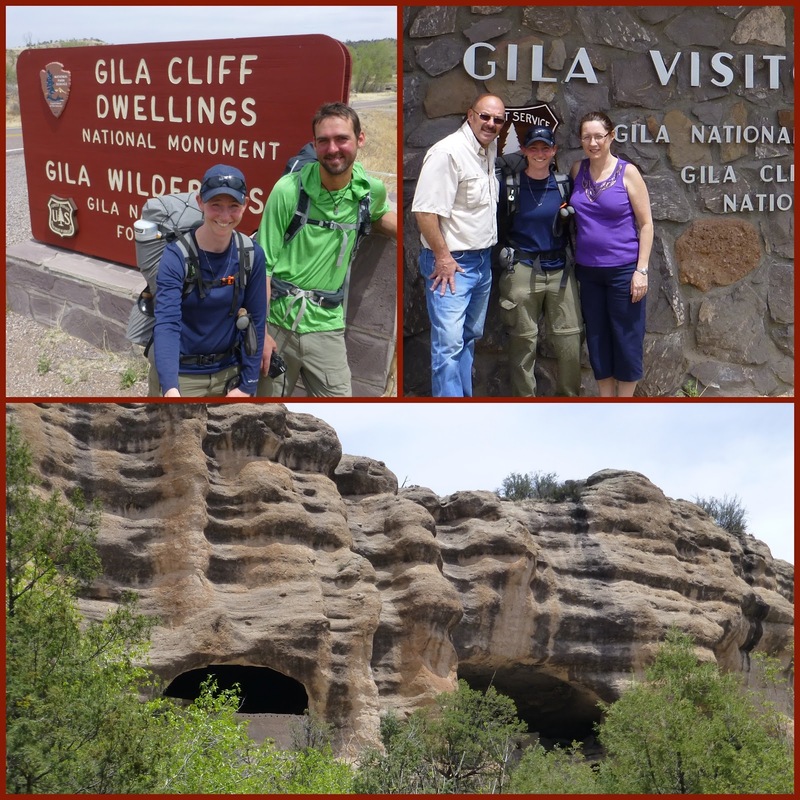 The CDT has many options and the one we were going to take is called the Middle Fork of the Gila and is said to be longer with many Gila crossings, but is popular because it goes through some of the most beautiful parts of the Gila. The two trails reunite about 6mi in, so we figured we’d see them later. I introduced myself to a couple that were driving to the dwellings and they were kind enough to give me and Sweetfish a ride to the dwellings and back. Technically my first hitch of the hike even though I didn’t have to stick my thumb out. Thank you to Brian and Sharon for the ride! Here are pictures of them and Sweetfish. 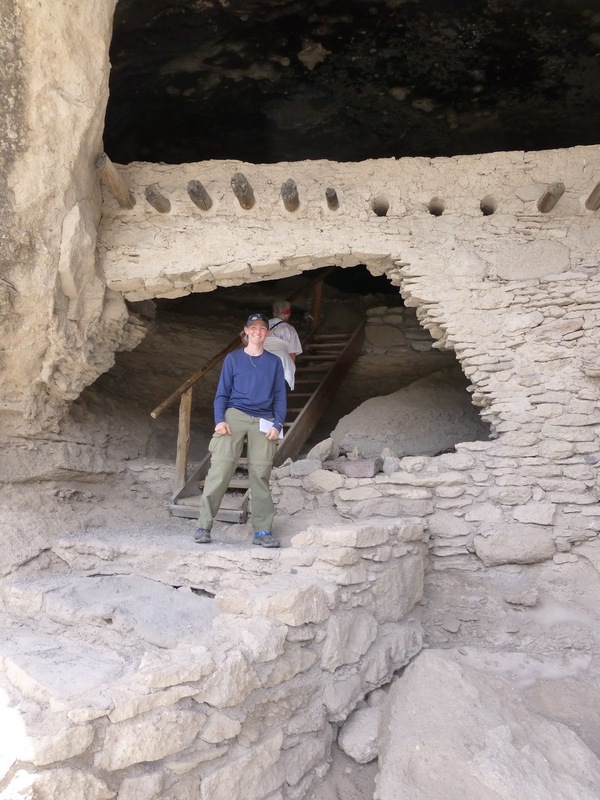 The Cliff Dwellings were basically shelters created in the caves of Cliff Dweller Canyon in the 1270s by the Mogollon culture. They were pretty remarkable. Me, Sweetfish, Brain, and Sharon walked up just as one of the few tours by a guide was beginning and it was really informative. 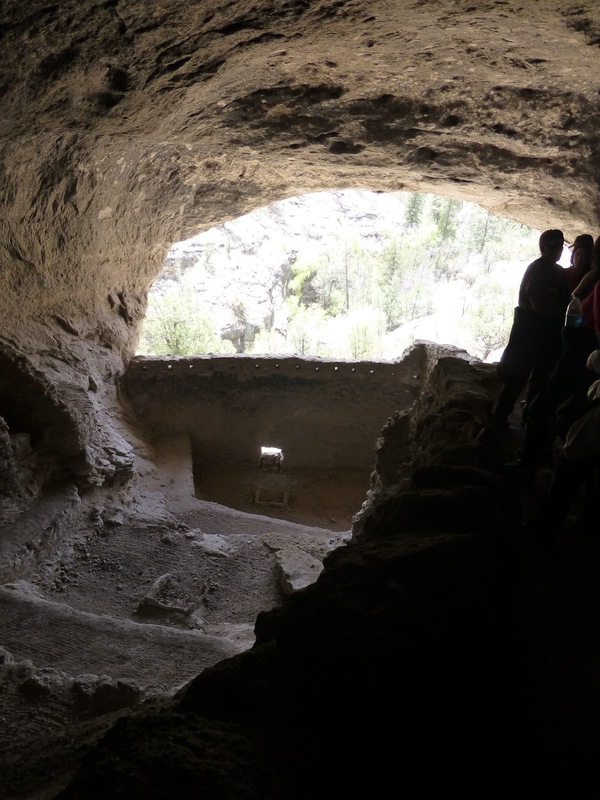 There were some dwellings that we were even able to walk in and the guide pointed out all the details and explained how they were created, the Mogollon culture, and how each space is believed to have been used. Can you just imagine living up there 700yrs ago and getting this amazing view! ?